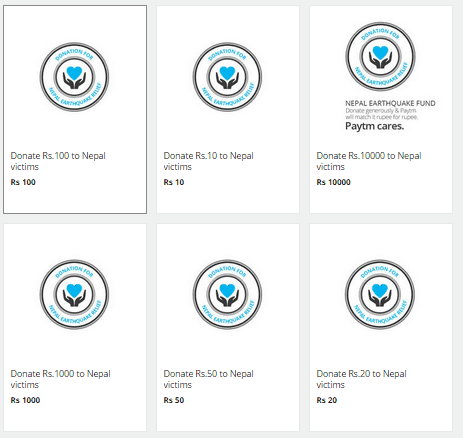 Paytm has started its Nepal Earthquake Fund. Donate some and lets show our generosity. Loss of so many people lives, homes, and still suffering. Over 3200 deaths and over 6500 people injured. The quake hit with a devastating force less than 80 miles from the capital Kathmandu causing tremors and damage in various parts of India also. 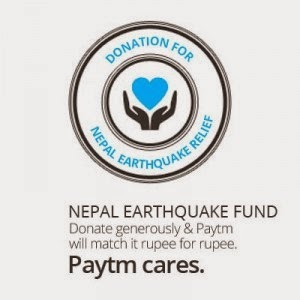 Support Nepal by funding through Paytm and Paytm will double your donation rupee by rupee. 2. Click on buy and in the next page proceed to payment. 4. 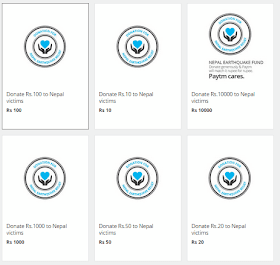 In app if you wish to directly donate then search for "Nepal" and pick coupons. Then proceed to payment. Paytm will match the donation amount and double the amount then deposit it to govt relief fund (like PM’s National Relief Fund). Note- You can also use paytm wallet to make the donation.